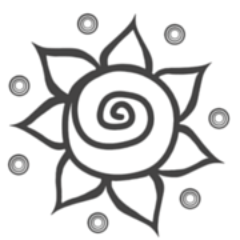 #holisticmedicine Archives - Everything about living a shamanic lifestyle. Chances are you have taken part in or observed through television a shamanic practice at some point in your life. Depending if it was a documentary or cartoon your original viewpoints on shamanism will be varied. As it resurfaces in our modern times, we must reiterate what it is shamans do. This practice known all over the world is said to have begun in Asia over 40,000 years ago, however there is evidence of shamanism in paleolithic sites throughout Europe, Africa and Australia. This means even though there is not a specfic point of origin in shamanic practices, the common themes we see are not cultural, but practical. Shamanic practice has some to do with traits and more so is founded throughout cultures on the healing practices of psychobiology and the immunological system. Make it to the end and see the list of common ailments treated by shamanism! 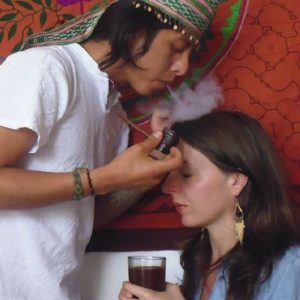 Tobacco protection used by peruvian shaman for ayahuasca ceremony. Illness in shamanic belief is linked to your psycology. This means you have the power along with a shaman to restore your health through finding equlibrium in your body, mind and spirit. At all of our ayahuasca retreats and the san pedro retreats, this is the most important factor, your extraordinary effort to let the shamans be your guides and help restore your health. In Peru, shamans are always relating the importance of intention, your intention along with the intention of the shaman in any ceremony is key. Whether the shamanic ceremony be in Peru, Bali, Mongolia or India. When you participate in a ceremony you are bringing energy to the shaman and asking them to help heal through this holistic medicine. It takes a certain level of faith or spiritual interest. By using life force energy and a few key tools, the shaman helps resurface repressed memories, feelings of depression, anxiety, compulsive disorders and more. In ceremonies shamans have instruments to heighten your senses and activate chemicals in your brain, through taste, smell and touch. Shamans in Peru use plants, feathers, tobacco smoke, song, music and perfumes as their tools. It can be summed up as a performance art, but anyone who has experienced a true shamanic healing session knows it goes much further than this. In other posts, we will talk about spirit realms, animal guides, cosmological beliefs and the 8th chakra, the shamans chakra. The following are types of significant issues often healed by shamanic journeying. Ayahuasca retreats are relevant to all of these and San Pedro (Huachuma) will be marked for the ailments it best treats. Author Sage AdminPosted on October 21, 2016 September 26, 2017 Categories Ailments, Retreats, TraditionsTags #ailments, #ancienttribes, #anxiety, #ayahuasca, #ceremonies, #depression, #holisticmedicine, #huachuma, #lifeharmony, #sanpedro, #shamanismLeave a comment on What shamans do.